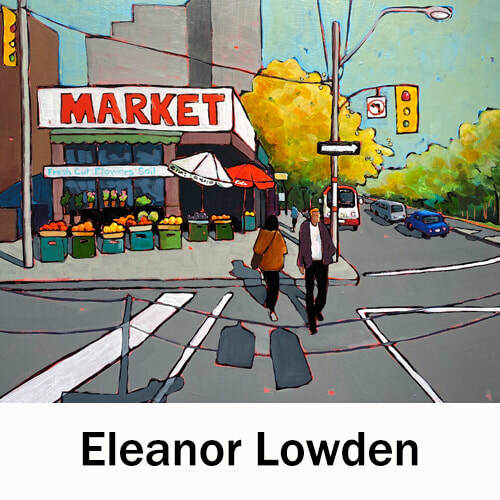 Eleanor Lowden began her career as a professional artist 30 years ago living in Ontario. Eleanor studied fine arts at the University of Western Ontario, and continued her studies in art and watercolor at the Ontario College of Art, the Alberta College of Art and through various workshops to broaden her scope. In 1994 she joined the Toronto Watercolor Society and will be their new President in the spring of 2016. In the fall of 2015 Eleanor was accepted by jury into the Ontario Society of Art.